Down By The Riverside was the Diss contribution to this year’s celebration of the rivers. 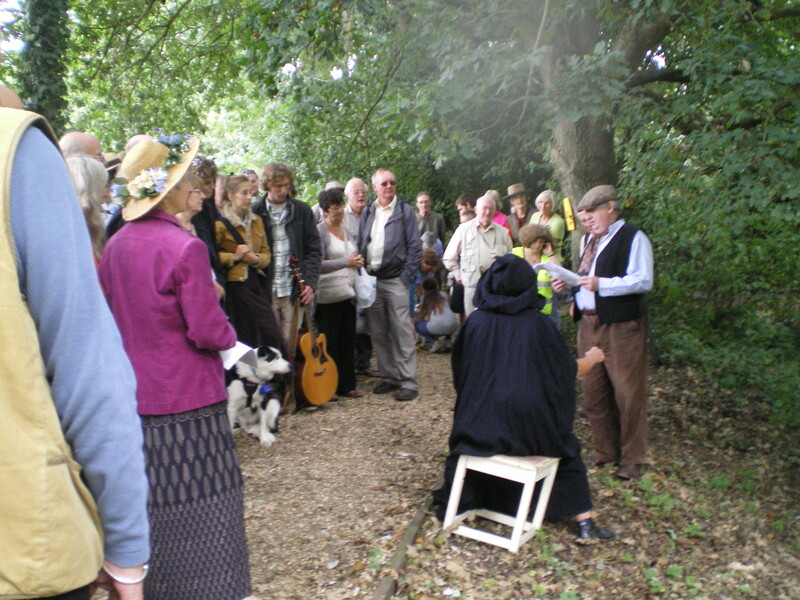 About 50 people came to the Waveney path behind the supermarkets to hear prose, verse, drama and music. Guitar and accordion music, poems by Pushkin, Tennyson and Hardy, extracts from Dickens, Conrad, George Eliot, Kenneth Graham and Rachel Carson, a children’s story and a play called Ferry Cross the Styx by local group EyesWrite, were all part of the entertainment, with a generous tea-table at the end. The event was a partnership project between Diss Museum, Diss Community Partnership, Cittaslow and Diss RiverCare Group, under the banner of Waveney & Blyth Arts. Leslie & Alison Dumbell read from Dickens’ Our Mutual Friend.